Discover the “City that Never Sleeps” on your group bus trip to New York City! Two guided tours of New York show your group such sights as Central Park, iconic Rockefeller Center, the glittering Broadway lights of Times Square, the hustle and bustle of Wall Street, and more. Our tour will visit to the 9/11 Museum where you will remember those who were killed, those who survived and those whose lives have been changed forever as you explore the museum’s exhibits chronicling the events that happened on September 11, 2001 & February 26, 1993. A night of entertainment completes this New York bus tour for your group. 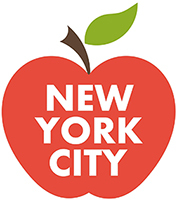 The “Big Apple” experience will stay with your group for a lifetime after their New York bus trip! Transportation from The Villages, FL on a top-quality motorcoach with at least 54 seats that is restroom and video equipped. Great experiences and beautiful sights! Full Day Guided Tour of New York City. See Central Park, Rockefeller Center, Time Square, Wall Street, the 9/11 Memorial, and much more! Day 1: Board your spacious, video and restroom equipped Motorcoach and set off for the bright lights of "The Big Apple" - New York City! This evening, you will relax at an en route hotel. Day 2: After enjoying a Continental Breakfast, you will depart for the Museum of the Cape Fear Historical Complex in Fayetteville, NC. Later in the day, enjoy Dinner and check into your en route hotel. Day 3: After enjoying a Continental Breakfast, you will continue on your journey towards New York City. This evening, sit down to a nice Dinner before checking into a comfortable New York City area hotel to rest up for an exciting day ahead! Day 4: After enjoying a Continental Breakfast, you'll explore "The City That Never Sleeps." A Guided Tour of Manhattan will take you to such famous sites as Central Park, Rockefeller Center, Times Square, Wall Street, the 9/11 Memorial, and so much more! Later, you’ll dine at a New York City restaurant and spend a little free time in the city before returning to your hotel. Day 5: Today, after enjoying a Continental Breakfast, your "Big Apple" adventure continues with the NEW National 9/11 museum, located at the World Trade Center site. Explore the museum's collection of diverse materials which include artifacts, photographs, audio and video tapes, personal effects, and memorabilia. After a break for lunch, you will head to the incredible One World Observatory, a three story observatory deck located on floors 100-102 of One World Trade Center. This stunning structure is the skyscraper that was built between 2006 and 2014 to replace the Twin Towers. Millions of visitors flock to One World Observatory every year to take advantage of the stunning panoramic views it offers. You'll experience 500 years of New York City's history from 1,250 feet above the ground, and enjoy spectacular 360 degree views of the iconic sights of New York City. This evening, enjoy a Dinner Party with Entertainment before returning to your hotel. Day 6: Today, after enjoying a continental breakfast, your "Big Apple" adventure continues with your leisurely Guided Touring of New York City with your Guide. This evening, enjoy Dinner before returning to your hotel for a good night's rest. Day 7: Enjoy a Continental Breakfast before leaving for the National Harbor, a unique waterfront wonderland of shopping, dining, and more. Later that day, after a relaxing Dinner, you'll check into your en route hotel. Day 8: Today you will go to the Lewis Ginter Botanical Garden. Tonight, relax in your en route hotel. Day 9: Today, after enjoying a Continental Breakfast, you will depart for home... a perfect time to chat with your friends about all the fun things you’ve done, the great sights you’ve seen, and where your next group trip will take you! * Prices are per person based on double occupancy. Add $359 for single occupancy. $75 deposit due at signing, balance due by 9/27/19. The New York City & National 9/11 Museum Tour is available for Group Tours and Fundraising events. Additional Dates are available for 2019 and 2020 for groups of 30 or more. Rockefeller Center: Rockefeller Center is a complex of 19 commercial buildings covering 22 acres in New York City and was built by the Rockefeller family. The 9/11 Museum honors the lives of nearly 3,000 victims of September 11, 2001 & February 16, 1993 terrorist attacks. The collection contains personal items, artifacts, accompanied by accounts of the day and stories of heroism, courage survival and loss. Add me to the TDJ Travel Newsletter. Cancellation and change penalties may apply to any travel arrangements booked. Prices, dates, itineraries and any other information provided on this website are for information purposes only and may change without notice. TDJ Travel is not responsible for errors of omission or information that may occur as a result of the transfer of information from selected third parties, technical or human error. California Seller of Travel Registration # 2089491-50. Registration as a seller of travel in California does not constitute the state’s approval. Agent is not a participant in the Travel Consumer Restitution Fund. Florida Seller of Travel Registration # ST37113. Hawaii Seller of Travel License # TAR 7231. Iowa Seller of Travel Travel Agency # 960. Washington Seller of Travel UBI # 602 775122.